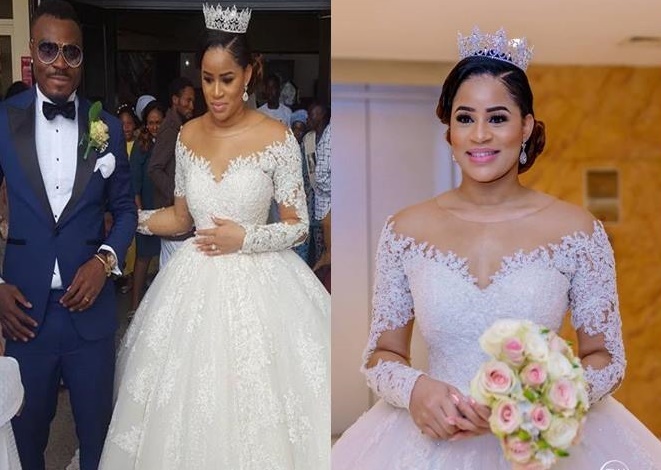 Former Most Beautiful Girl in Nigeria, Iheoma Nnadi, and new bride to former Super Eagles striker, Emmanuel Emenike, has called out her wedding planner just a day after the wedding. Iheoma took to her Insta-live to appreciate everyone that made her day at the wedding and also used the medium to blast the wedding planner, who, according to her, did a very shoddy job. She claimed that the lady who had no idea of how to plan a wedding, decided to bring her personal attributes to work and it was a total turn off. Emenike and Iheoma, who was the 2014 Most Beautiful Girl in Nigeria, have been dating since May 2016 and got engaged in September 2016. He shockingly announced his retirement from international duty in October 2015 following alleged fisticuffs with former Super Eagles coach Sunday Oliseh, but reports say current Super Eagles coach Gernot Rohr is making efforts to bring-back the striker.